If you are Indian, then this is the first thing you should do. Or probably will want to do. The venue of several legendary matches has guided tours for visitors when you can go and pay your respects on these hallowed grounds (say a salaam to the Rod Laver arena next door while you are at it). The tour takes you inside the areas normally closed to the public, including glimpses into the dressing rooms of the cricketers. 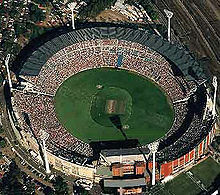 It is only when you walk through the MCG that you realize that cricket is only one of the many games this ground has supported and nurtured over the years; information about sporting legends and their achievements are strewn all over the place. End the tour at the MCG museum, a superb collection of sporting trivia and memorabilia. Melbourne is a city made for walking in, especially the central part which has a very European feel about it. Cobbled lanes, narrow arcades, cozy boutiques, outdoor cafes – the works. The Hidden Secrets Tour is highly recommended for not just the route they take you through but also the fact that the tour offers a lot of information about the history of this city. Their guides are knowledgeable and witty and the three hours pass in a jiffy. In particular, their Lanes and Arcades Tour shows a normally hidden side of the inner city, its small shops and cafes that tourists may not ever find on their own, including a shop selling magic and witchcraft items! (Tour cost: 115 AUD), with lunch. 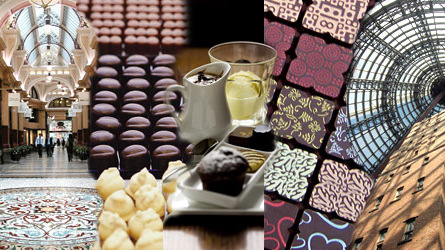 Or devise your own coffee and chocolate tour – yes, Melbourne is proud of its coffee, chocolate and cupcakes. There are little Belgian chocolate shops dotted all over the central district, their window displays winking at you even if you determinedly try ignoring them. If you would rather do this in a more organized manner (remember this is chocolate we are talking about, so give it the respect it deserves), go on a Chocolate Tour – you can choose from a variety of them, indulging and perhaps shopping as you go along. 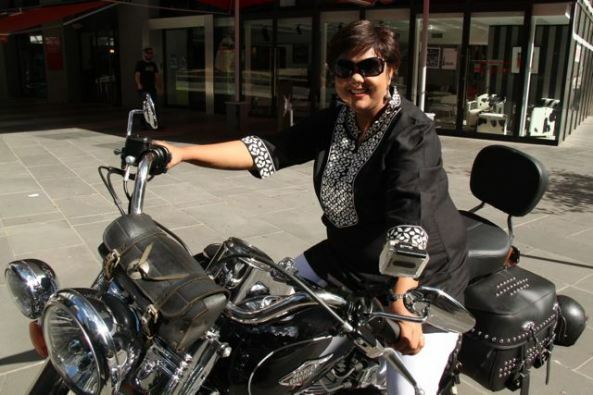 John Karmouche, the man who runs the Harley Davidson Tours in Melbourne says a rather dubious thing on his website: “I have come to understand the term ‘Pleasure Experience’. That is what we are committed to doing – giving pleasure.” You know that HD owners take their bikes very seriously and have a somewhat deep relationship with it, so take that statement at face value. John means that he cannot think of anything more pleasurable than riding around his city on an HD. It is a unique way of seeing the city, the wind on your cheeks and constant commentary from the front. Their most popular (and deservedly so) tour is the Great Ocean Drive tour, which takes you down the, well, Great Ocean Road to see the Twelve Apostles, the large limestone rocks jutting out of the sea. Or head to a winery in the Yarra Valley and spend an afternoon tasting different wines and listening to stories about them. Even if you are HD-inclined, do not leave Melbourne without going on the Great Ocean Drive – hire a car or take a bus tour but make sure you take in one of the most stunning drives in the world. See the city skyline stretching out in front of and below you from the Skydeck on the 88th floor of the Eureka building. Early morning and late evening are the best times to visit, though there is a different experience to be had at any time of the day. You can walk around the Skydeck for views of the sea on one side and the city on the other. 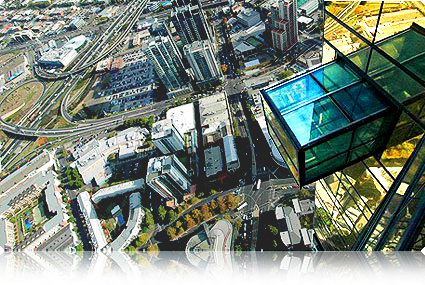 If you are feeling very brave, then buy an additional ticket for The Edge, a glass cube that projects 3 metres out from the building, so that you are suspended in mid air, 300 metres above the ground. The Mornington Peninsula is the stuff that tourism authorities’ dreams are made of: it has something for everyone. Adventure, nature, thermal spa, winery, beach activities – you name it, you got it. This is a great place for a day tour for the entire family. Children have a lot of activities to keep them happy. Take them strawberry picking – you buy a container and pick and eat as much as you can fill in that. Or go into a lavender farm (try the lavender honey and jams available in the gift shop), which also doubles up as an offbeat venue for weddings once in a while. When the weather is fine, go dolphin-watching into the ocean or horse-riding on the back lanes of the area. 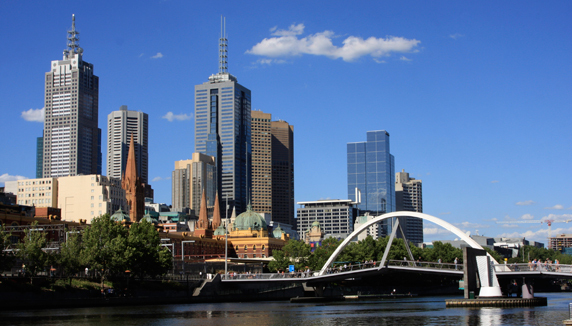 Back in Melbourne, go bar-hopping in the evenings, take a river cruise on the Yarra or simply sit at Federation Square across the road from Flinders Street Station and watch the world pass by. And come away feeling charmed by this city, as I did.